I've been wanting to do Tweeter of the Day ever since I saw Mrs. Delzer (from Top Dog Teaching) post about it. I'll admit that I was very nervous at first...how do I get a group of 2nd graders ready to take over Twitter?! 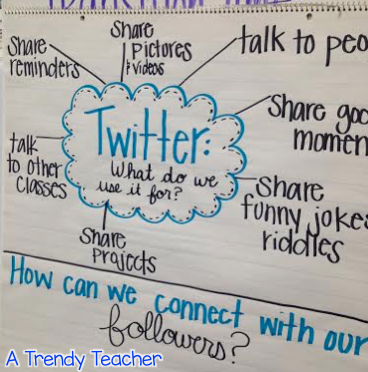 We started with a week dedicated to learning about Twitter. My kids knew a little bit about Twitter because they've heard me say "Smile! I'm posting this on Twitter" but they haven't really learned about Twitter. Day 1 - What Do We Use Twitter For? We started by brainstorming. Students came up with great ideas. It was a bit challenging at first but when I said "Twitter is kind of like Facebook" it was a collective "Ohhhhhh! My mom has that!" and we were back in business. Day 2 - Who Follows Us? We pulled up our Twitter account and checked out our followers. We made a list of the type of people who follow us - parents, teachers from our school, principals, teachers from other schools, and some of my friends. After we established who follows us we talked about what type of things might they want to see. We talked about how our audience is very diverse and we need to make sure we post things for all members of our audience (not just pictures for parents). Day 3 - How Can We Connect With Twitter? This day was a little tricky. Trying to explain how we could tweet "at" someone and how they could tweet back to us was a bit difficult. We started by finding our favorite authors on Twitter. Then we practiced sending tweets to them. The hard part was helping them understand that we won't always hear back from these people. We waited...and we waited...and we waited...all day but never had replies (I didn't think that we would) but the kids were pretty disappointed. We talked about it how popular these people are and how they must get a lot of tweets each day and it's probably hard for them to get back to people. Either way, we were still bummed. Day 4 - When is an Appropriate Time to Tweet? I plan to let the "Tweeter of the Day" have unlimited access to the iPad so that they can tweet when they find something worthy of sharing; however, we had to discuss okay times and not okay times to tweet. 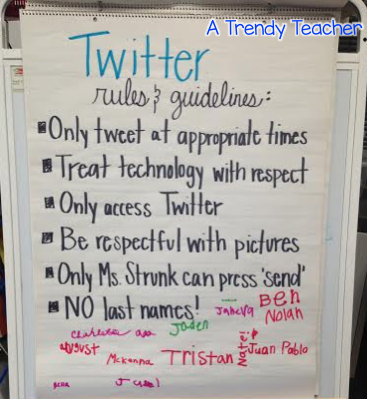 Finally, we worked together to come up with some rules for Twitter in the classroom. You'll notice that one rule says "Only Ms. Strunk can press 'send'", this rule is to ensure I proof read every tweet before it reaches the twitterverse. We talked about the internet, and that once something is out there it is there forever...which is why I want to be the final reader before it reaches our followers. 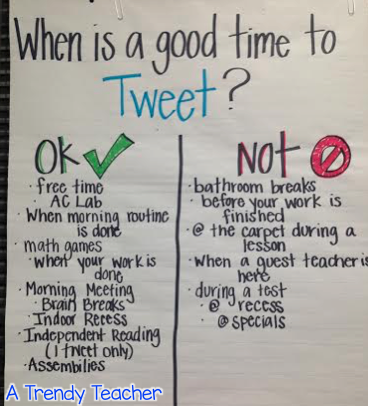 *The students needed to know of that rule before creating the "When is a Good Time to Tweet?" chart. This helped students see that they cannot tweet when I'm in the middle of a lesson because I won't be available to proof read their tweet. We officially have begun Tweeter of the Day this week! 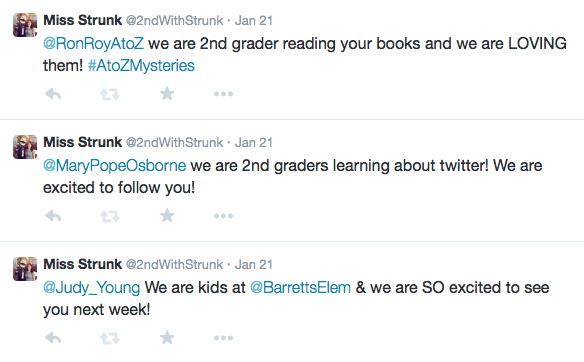 Be sure you follow us @2ndWithStrunk to see how it's going.